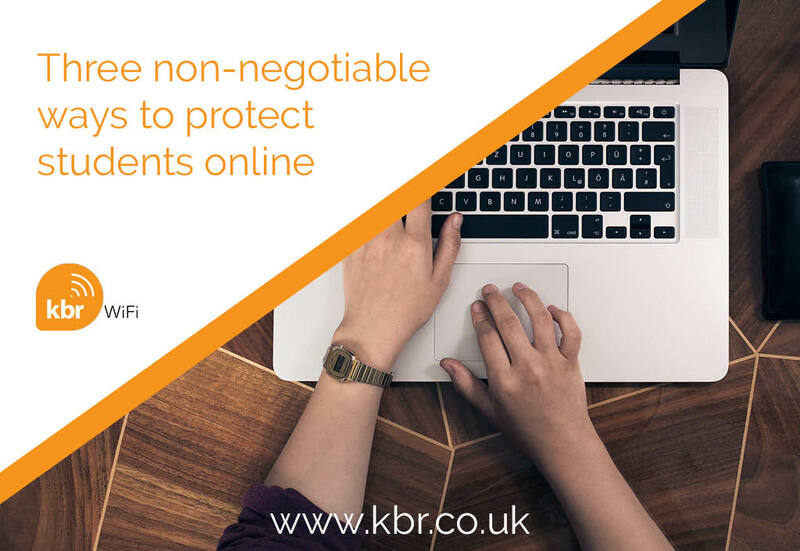 Schools, colleges and universities face a unique challenge when it comes to the online safety of their students: protect students under a strictly limited budget. With an ever-increasing number of students, staff and visitors onboarding their own devices, educational organisations need to enhance their online security measures in order to maintain a safe online environment. In this blog, we outline three essential and cost-effective ways to protect students online. Every time a student opens a web page, they run the risk of triggering the download of malware, spyware or risky content. Malicious or hacked websites are a primary platform for initiating attacks and web filtering is the first line of defence against such web-based attacks. A web filter is a piece of software designed to restrict what websites a user can visit on his or her computer. These programs look at the URL of the desired site and search through the site’s content for restricted keywords, and then decide whether to block or allow the connection. Filters are often installed either as a browser extension, as a standalone program on the computer, or as part of an overall security solution. However, they can also be installed on the network side, either by an ISP or a business, to restrict the web access of multiple users at once. Web-based applications are a favourite target of hackers, who will try to gain access to your school’s critical data and applications through malicious sources, DoS attacks, and sophisticated threats such as SQL injection, cross-site scripting, buffer overflows, file inclusion, cookie poisoning, and more. Protecting your web applications is more sophisticated than web filtering and involves the use of a specialist web application solution which can be purchased and installed by WiFi and security experts like KBR. How do you protect your applications? Applications are protected by a sophisticated firewall, which is software or hardware that checks information coming from the Internet or a network, and then either blocks it or allows it to pass through to your computer, depending on your firewall settings. A firewall can help prevent hackers or malicious software from gaining access to your computer through a network or the Internet, and can also help stop your computer from sending malicious software to other computers. Conventional firewalls only identify ports, protocols, and IP addresses can’t identify and control applications. Next generation firewalls, however, allow you to quickly create policies to allow, deny, or restrict access to applications or entire categories of applications, Improving security and meeting compliance guidelines easily. When exploring firewalls, it’s important to consider the reporting available too. Many schools benefit from a centralised management solution that offers extensive visibility into application usage in real time, as well as trends over time. Email is the number one platform for the start of an advanced attack on schools. Installing spam protection can provide a comprehensive and multi-layered approach to detect and filter spam processed by schools. Spam filtering checks for message characteristics consistent with spam. You can change what actions to take on messages identified as spam, and choose whether to filter messages written in specific languages, or sent from specific countries or regions. You can also change a protection setting to deal with a specific issue in your school—say you’re receiving a lot of spam from a particular sender, for example – or to simply fine tune your settings so that they’re tailored to best meet the needs of your schools. Having a comprehensive email policy is the start, but spammers are becoming more and more sophisticated in their use of emails to infect machines and gain access to sensitive data. Having sophisticated spam protection is an absolute must. Of course, technology can help to protect your students online but perhaps one of the most effective ways to keep students safe online is to have and maintain clear rules for students and teachers alike. When working with KBR, you will benefit from KBR’s 30 + years of experience, streamlined onboarding and an industry leading deployment process with world-class cybersecurity. With KBR, you will get everything you need to effortlessly onboard thousands of devices, manage and prioritise application usage, scale capacity with ease, and enjoy world-class protection from current and evolving threats.